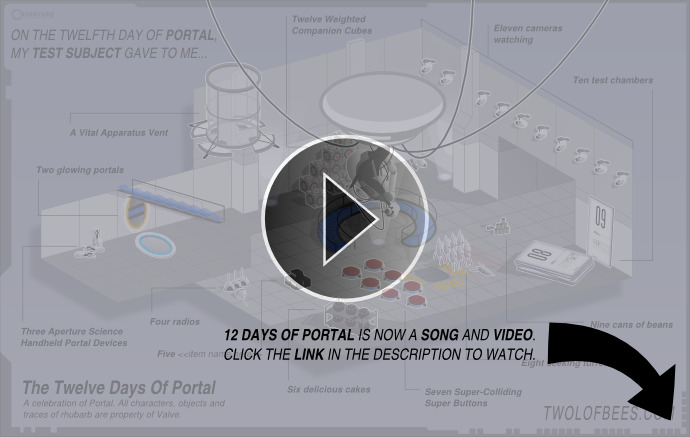 A video of the comic, complete with GLaDOS singing. Click on the link below to watch! This was also featured in "Goodbye Christmas Caroline", a collection of fan made Portal themed Christmas carol remakes.